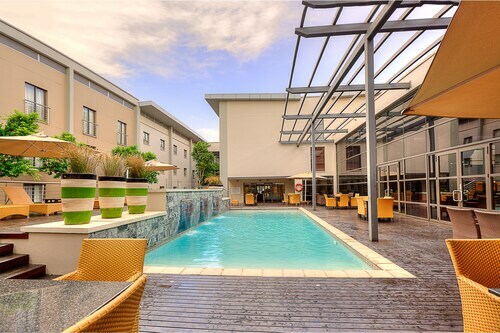 Located in Greater Johannesburg Metropolitan Area, this spa hotel is within a 15-minute walk of Johannesburg Stock Exchange and Sandton Convention Centre. Nelson Mandela Square and Sandton City Mall are also within 1 mi (2 km). Johannesburg Sandton Station is 15 minutes by foot. 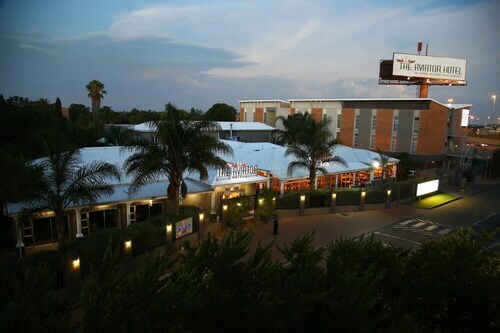 This family-friendly Kempton Park hotel is located near the airport, within 2 mi (3 km) of Kempton Park Golf Club and Festival Mall. International Terminal Duty Free Mall is 2.4 mi (3.9 km) away. Situated in the entertainment district, this hotel is 1.3 mi (2.1 km) from Mall at Carnival and within 9 mi (15 km) of Royal Oak Country Club and Lakeside Mall. Benoni Lake Golf Course and Bunny Park are also within 9 mi (15 km). 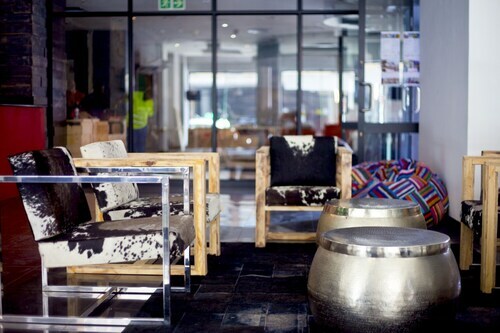 Located in Downtown Johannesburg, this hostel is within a 5-minute walk of Neighbourgoods Market, CO-OP Studio, and Alexander Theatre. Wits Art Museum and Joburg Theatre are also within 10 minutes. 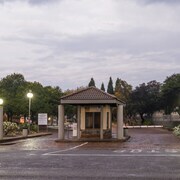 Johannesburg Park Station is 12 minutes by foot. 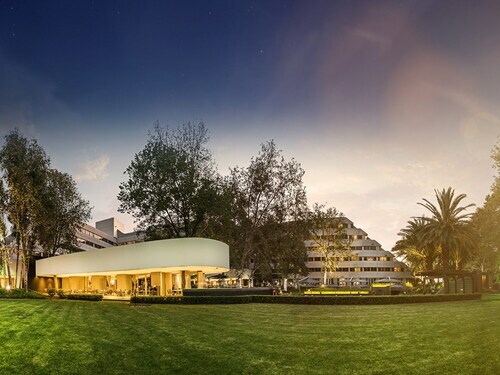 Located in Greater Johannesburg Metropolitan Area, this luxury hotel is within a 15-minute walk of Rosebank Mall and Circa Gallery. Killarney Golf Club and Wanderers Stadium are also within 2 mi (3 km). 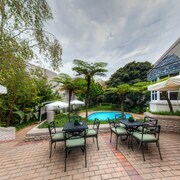 Located in Houghton Estate, this luxury hotel is within 2 mi (3 km) of South African Museum of Military History, Killarney Golf Club, and Victory Theater. Houghton Golf Club and Johannesburg Zoo are also within 2 mi (3 km). 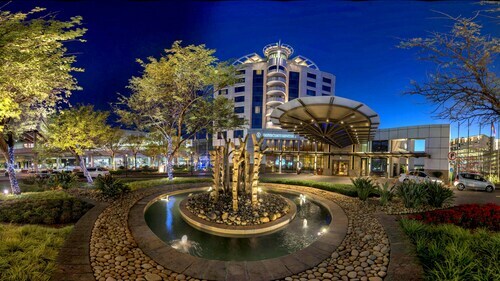 This family-friendly Sandton hotel is located in the entertainment district, steps from Nelson Mandela Square, Sandton City Mall, and Sandton Convention Centre. Hyde Park Corner and Dunkeld West Shopping Centre are also within 3 mi (5 km). Johannesburg Sandton Station is only a 4-minute walk. 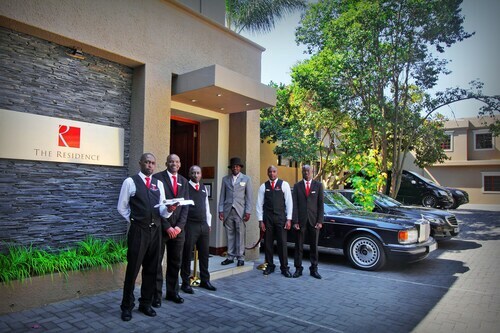 How Much is a Hotel Room in Johannesburg? 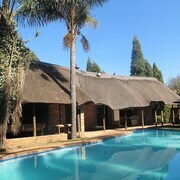 Hotels in Johannesburg start at C$57 per night. Prices and availability subject to change. Additional terms may apply. Johannesburg, the largest city in South Africa, is the transit point for safaris in Kruger National Park, but the city holds a lot of appeal of its own. 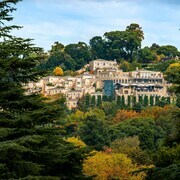 Find great hotel deals in Johannesburg and explore excellent museums, family-friendly parks, and an urban landscape enhanced by some six million trees. Johannesburg flights are your ticket to a modern African city with an intriguing heritage and still-wild surroundings. Make Museum Africa one of your first stops in Johannesburg to gain an appreciation of the political and cultural heritage of the city. Learn about life in the region, from Iron Age communities through apartheid to the present day. Learn about the life and legacy of Johannesburg's most-famous son, Nelson Mandela, at the Mandela House in Soweto. 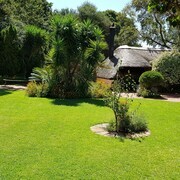 The former South African president and his family lived at the home from 1946, and it became a museum dedicated to his story in 2009. The Apartheid Museum reveals more of South Africa's turbulent history. Visiting with kids? Spend a day at Gold Reef City, minutes by car from most hotels in Johannesburg. It has high-speed thrill rides, rides for smaller children, and a tour that takes you deep underground to learn about the region's gold mining heritage. 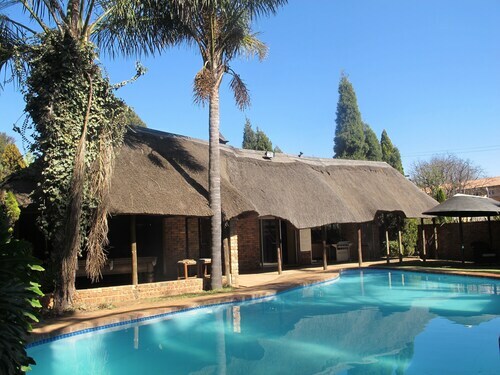 See the wild side of the city at its popular zoo, or take a 45-minute drive to Krugersdorp Nature Reserve for a safari experience, and easy distance from Johannesburg hotels. A cosmopolitan and multicultural city, Johannesburg offers dining options from trendy cafes to chic restaurants run by award-winning chefs. For fancier fare, your best options are the affluent neighborhoods of Sandton and Melville, or you could explore restaurants along Seventh Avenue to taste local specialties. South African cuisine is heavily influenced by Indian cuisine, and samosas are a ubiquitous favorite. Be sure to try boerewors, a spicy beef or lamb sausage, and snack on biltong, South African jerky. Travelocity's vacation bundles to Johannesburg are a great deal—you could save up to $537 when you book your hotel and flight at the same time. Great location good amenities, lovely local vibe. Will return. 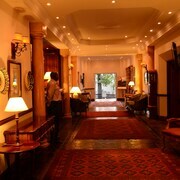 We liked the physical styling and layout of the lobby and check in area. The staff were helpful and responsive to our questions and needs. 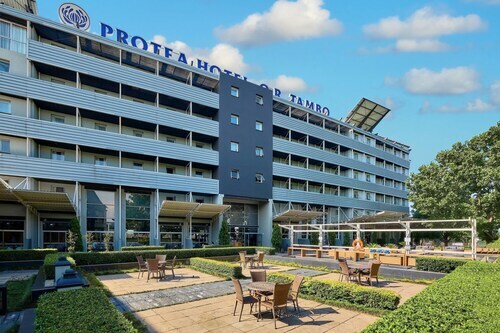 This hotel is well located to access the International airport of Joburg. Good service, good amenities and an Irish Pub to enjoy beer, cocktails and meals! I will go there again at my next stop in Joburg. This was a great hotel that provided comfort and security to a single traveller. Located within walking distance of two large shopping centers and cinema, this is a great location to stay if you love city life, but want safety and convenience.